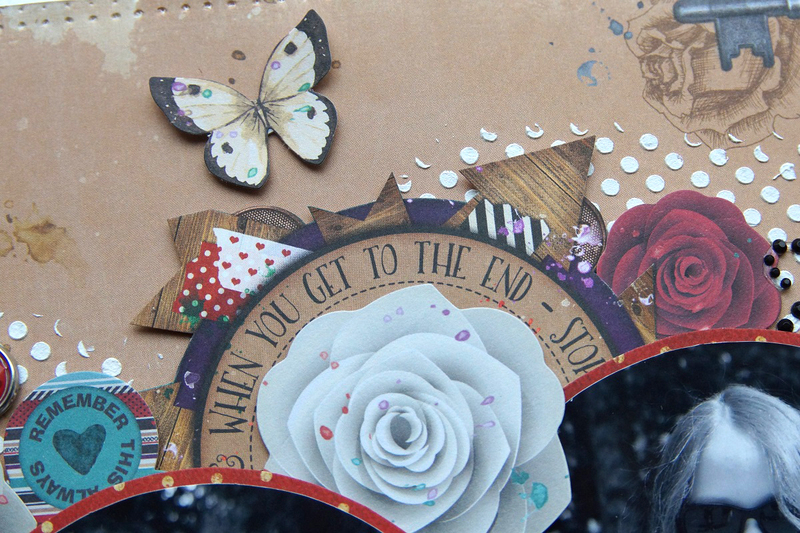 Emmy here with you today to share another layout I created using the amazing "Land of Wonder" collection from BoBunny! For my background I used a pattern paper from the Land of Wonder collection. I added the white dimensional pattern using texture paste and a stickable stencil. Once the paste has dried, I distressed its edges and started arranging my design. 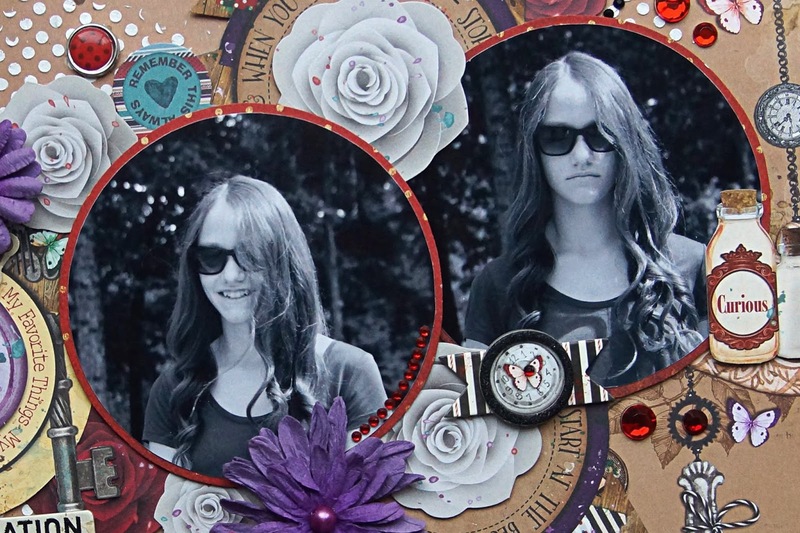 Because of this week's theme, I cut my pictures as circles and layered them on a slightly large circles made of Double Dot Cardstock. 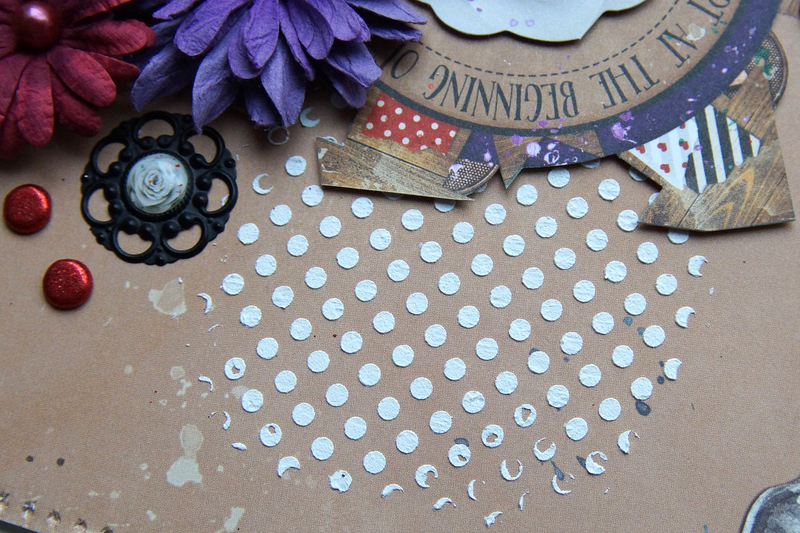 Then I fussy cut circle embellishments from pattern paper and added pre-cut images from the Noteworthy pack. 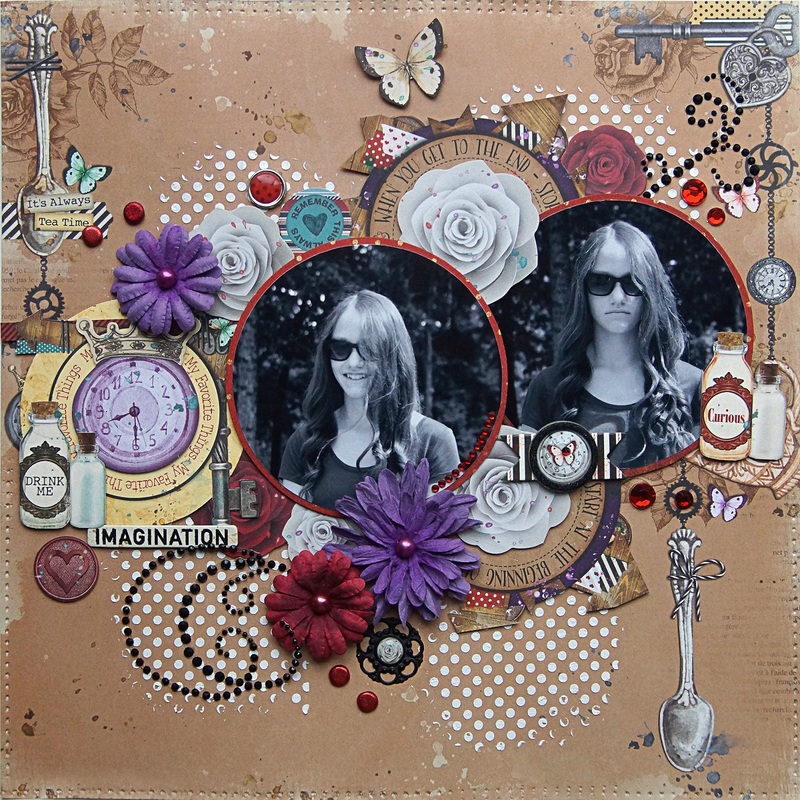 I added stickers and layered chipboard to my design as well. 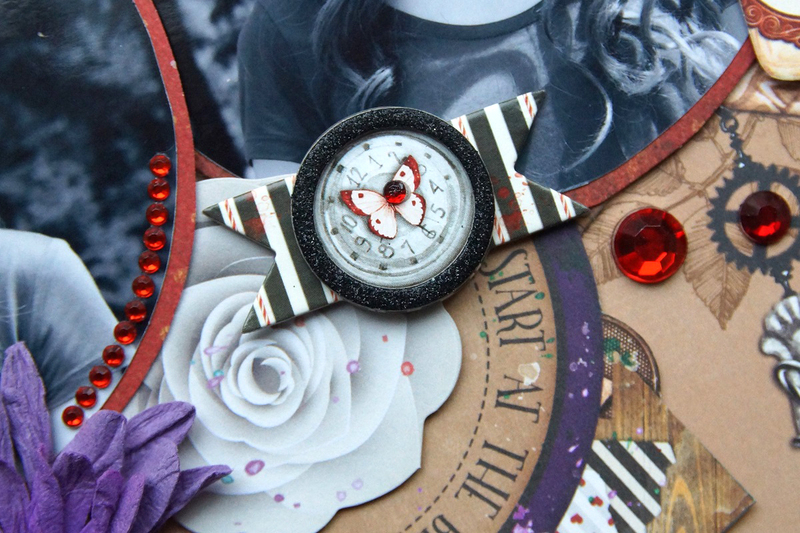 Then I added paper flowers and rhinestone swirls to decorate my page. As a final touch I added red glittery brads and red rhinestones.